In this brief episode, Mary Mac tells us about one of her favorite appetizers for a party or picnic. Pumpernickel bread with spinach dip! You can carve it out so it looks fancy or just slice it, tasty either way! 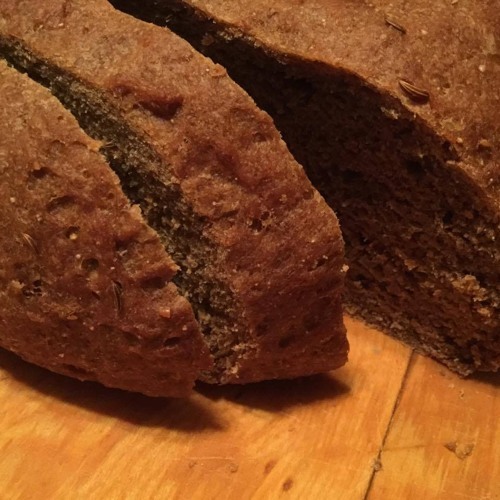 Download Episode 33 - Rye Not Pumpernickel? Users who like Episode 33 - Rye Not Pumpernickel? Users who reposted Episode 33 - Rye Not Pumpernickel? Playlists containing Episode 33 - Rye Not Pumpernickel? More tracks like Episode 33 - Rye Not Pumpernickel?